Writing a winning tender or proposal requires experience, knowledge and strategic thinking, as well as the skills to write succinct, clear answers to each question that present your business in the best possible light. Led by experienced tender writer Rosemary Gillespie, we are a strong team of expert, professional tender and proposal writers who have all worked in business development for legal, accounting and business advisory firms throughout the Asia Pacific region and around the globe. Based in Sydney, Tender Writers works with clients of all sizes across Australia and across many industries, crafting tenders to government, private and listed organisations. Our in-depth experience means we can rapidly come up to speed with a new client’s business – understanding how they work and how best to structure their tender or proposal response strategy. We have the skills to turn complex and technical language into clear, concise copy that significantly increases your tender’ or proposal’s chances of success. Tender Writers is powered by Proof Communications, which Rosemary established in 2000. Born in the UK, she began her copywriting, editing and proofreading career working at the BBC in London, before moving to a large global Swiss-based business. It was here that Rosemary discovered her eye for detail that marks out her skills as a superior tender writer, editor and proofreader. On moving to Australia, Rosemary’s copywriting career continued to flourish, becoming a tender writer for a global consulting business and later for a top tier law firm, before launching Proof Communications. "Just a quick note to say thank you for all your professional assistance with the tender last week. We could not have got there without your help. Half a of your time is at least equivalent to 2 days of anyone else’s time"
Sally is a versatile tender writer, marketing copywriter, copyeditor, content strategist, and digital marketer with an academic background in anthropology. She writes and delivers engaging content for diverse purposes and audiences, including bids and tenders, white papers, business reports, marketing collateral, digital content, blog posts, e-newsletters, and social media. Sally’s love affair with the written word began as a child. Much of her childhood was spent churning out stories clearly inspired by the many Roald Dahl novels she devoured at the time. In her early twenties she secured an internship with Elle Magazine UK’s features department, where she gained experience sourcing, writing, and shaping editorial content. After a short stint working with theatre production companies in London and touring the world with a South African musical, she began specialising in tender writing, marketing copywriting, copyediting, and content creation. Providing consultative advice on client products and services. Sue manages our clients’ tender response processes and prepares powerful tenders and corporate communications. 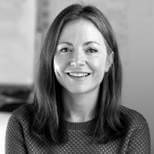 She is an enthusiastic, motivated and articulate B2B writer in the professional services and financial services sector. 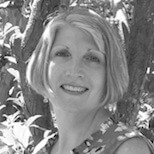 Sue has 15 years’ experience in business development and business communications. This includes five years in business development for a major Australian retail bank and eight years as the public relations manager of professional services organisations at state, national and international level. focus and ability to work under pressure to meet strict deadlines. Glynis has always been a voracious reader, wielding her red pen at typos for as long as she can remember (and much to the annoyance of her school librarian). Selling life insurance by cold calling wasn’t quite what she had in mind as the start of a stellar career, but it certainly was character building. From this unlikely beginning, Glynis spent many years working for AMP; her last role as presenter of Financial Services for Women seminars. 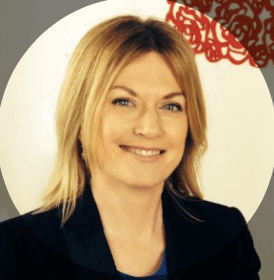 A move to the UK in 1997 gave Glynis the chance to establish her own training consultancy. After a number of years running her own business, she headed home to Australia. For the next eight years Glynis served as the National Customer Service Manager for a privately owned promotional apparel company in Brisbane. Throughout this time, Glynis kept hold of her red pen, applying her eye for detail to her employers’ corporate communications. Still clutching that trusty instrument, Glynis joined Proof Communications in 2013 to support our B2B proofreading, copy writing and editing services for businesses across a wide range of industries. 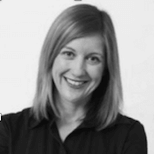 Glynis also works with clients writing their winning tenders and proposals, case studies, articles and website copy. And she loves every minute of it.